The UFW Foundation will be offering a free citizenship workshop! Have you considered in applying for naturalization? Do you want to know whether you are eligible to apply or want more information about the requirements? 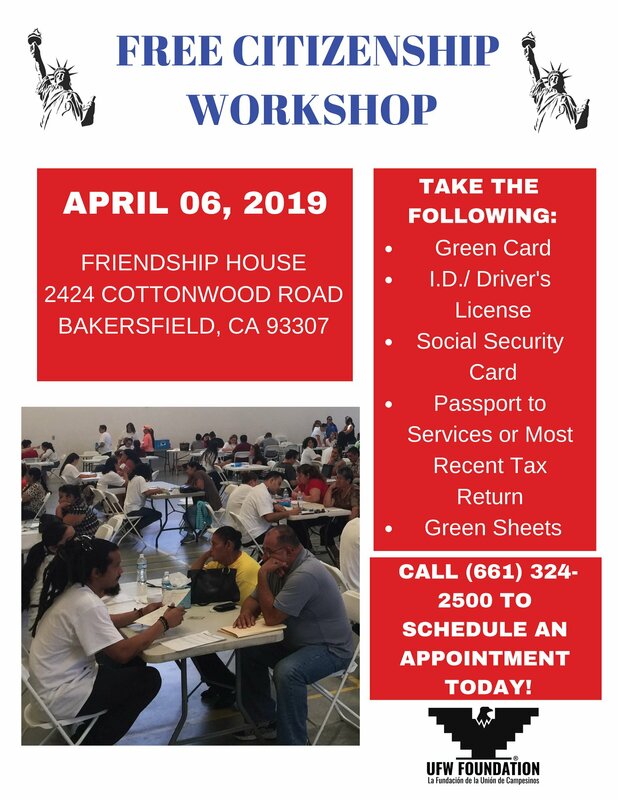 If so, please call the UFW Foundation at (661) 324-2500 and schedule an appointment for their FREE Citizenship Workshop on April 6th, 2019! The event will take place at the Friendship House Community Center at 2424 Cottonwood Road, Bakersfield, CA 93307!